Eddie Noonan of Frameworks Films, filming on location at Mt. 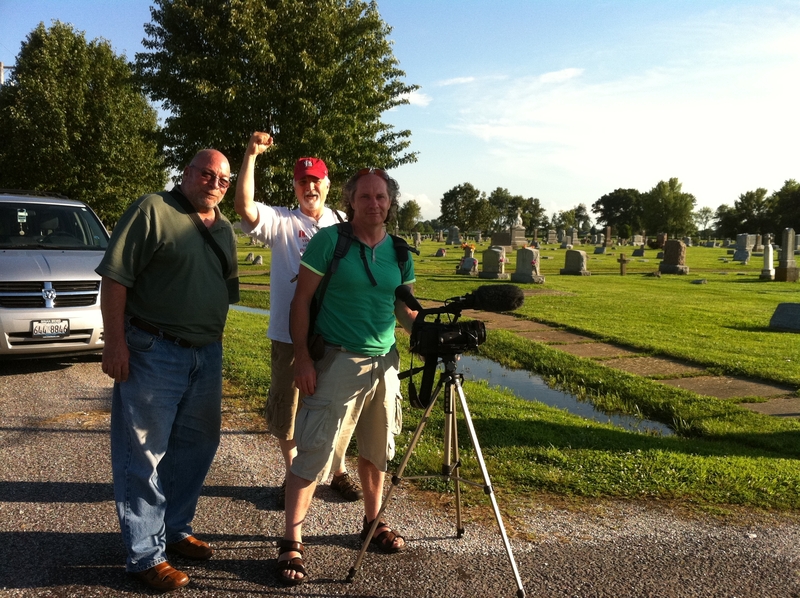 Olive cemetery, Illinois with Dave Rathke and Terry Reed. 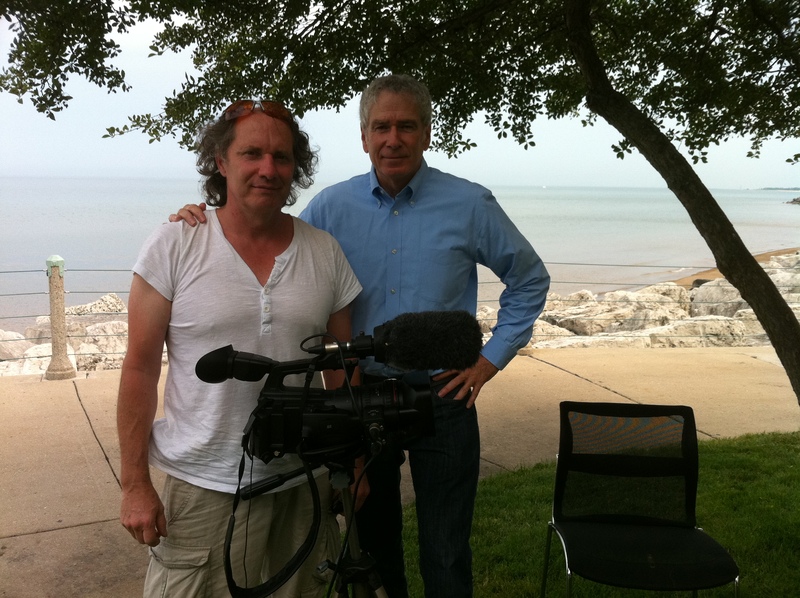 Emma Bowell of Frameworks Films (right) with author / historian Marat Moore on location in New York. A new documentary on a unique woman from Cork will be screened at 8pm on Friday 1st August in the Firkin Crane, Cork as part of the Cork Mother Jones Festival 2014. ‘Mother Jones and her Children’ has been produced by Frameworks Films, a Cork based film production company, in collaboration with the Cork Mother Jones Commemorative Committee. ‘Mother Jones and her Children’ outlines the life of the most famous Cork woman in America – Mary Jones, formerly Mary Harris. The documentary tells of her extraordinary life – her early years in Cork, her survival of the Famine and emigration to Canada, her move to the US and her marriage to George Jones, her life as a mother to four young children, her tragic loss of her entire family and later her business, her entry into the labour movement and her growing involvement in organising workers to the point where she is dubbed ‘the most dangerous women in America’. With contributions from leading experts on Mother Jones, the documentary will restore her memory, particularly in her native city. The documentary will also be broadcast on Cork Community Television on Saturday 2nd August 2014 at 8pm (available on Channel 803 on UPC’s digital cable package) and streamed live on www.corkcommunitytv.ie ‘Mother Jones and her Children’ was produced with the support of the Sound and Vision scheme, an initiative of the Broadcasting Authority of Ireland. For further information, please contact Frameworks Films on info@frameworksfilms.com or 021-4211010.